Calling all Little Chefs from age 6 to 12 years old! This can be your first step in mastering the art of cooking and baking. Explore and discover the art of baking! Note: You don't need to bring anything. 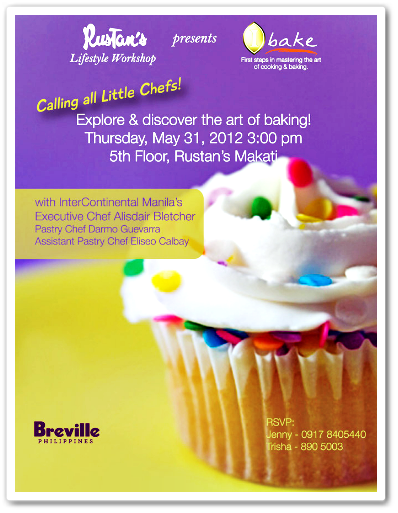 Everything that the kiddos need in baking will be provided by Breville/ Rustan's. This is a good alternative for kids to somehow pause and do things in a real mode and make them realize some major things they should do in life.